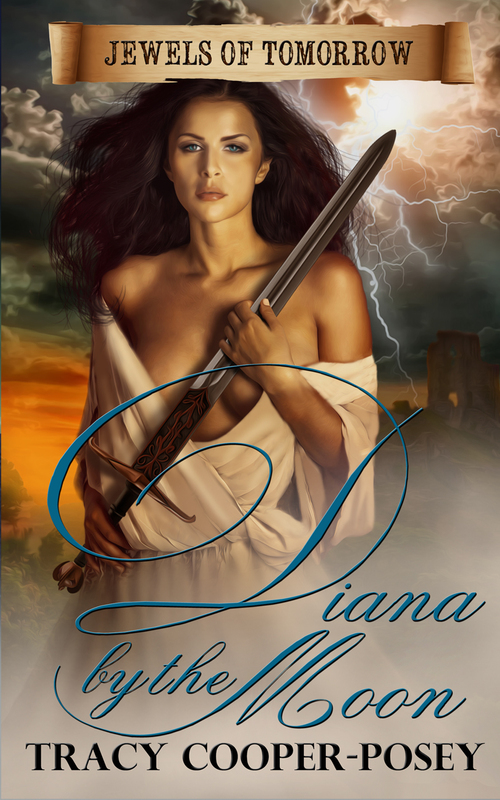 DIANA BY THE MOON – Arthurian Romance novel – Out now! Dar Albert has worked her magic again. While the new cover is completely different, it still has the same mood and I totally love Diana. She’s perfect — especially cradling that sword! He is Arthur’s man. His duty is his life. She fears and mistrusts him. The only way they will survive is to work together. Britain, 469 A.D.: Shortly after the Roman legions returned to Rome, leaving Britain open to Saxon attacks, Diana’s abusive parents die during a Saxon raid on their villa farm, the same day her brother takes most of the male slaves and servants to join the rebel Celt, Arthur. Diana, who no longer trusts anyone, must find a way for the women in her household to survive after the enemy has stolen everything. They struggle to eke out a living from the meager provisions remaining. Alaric, proud Celtic warrior and trusted lieutenant to the upstart British leader, Arthur, has been sent by him to establish and maintain a line of signal beacons — one of which must be built on a strategic hill on Diana’s property. His mission is critical to the security of Britain. Alaric must overcome his hatred of Romans if he is to fulfill Arthur’s ambitions in the north. He forces Diana to agree in return for the protection of Alaric and his men. Diana is pulled into a deadly political net, when Roman British enemies, including the Bishop of Eboracum, take exception to her new Celtic allies. A haunting tale of two lives touched by the coming of King Arthur, and two hearts and souls struggling to come together against odds as great as those against Britain itself. Only together will they survive, or else be sundered…forever. Diana by the Moon is part of the Jewels of Tomorrow series.